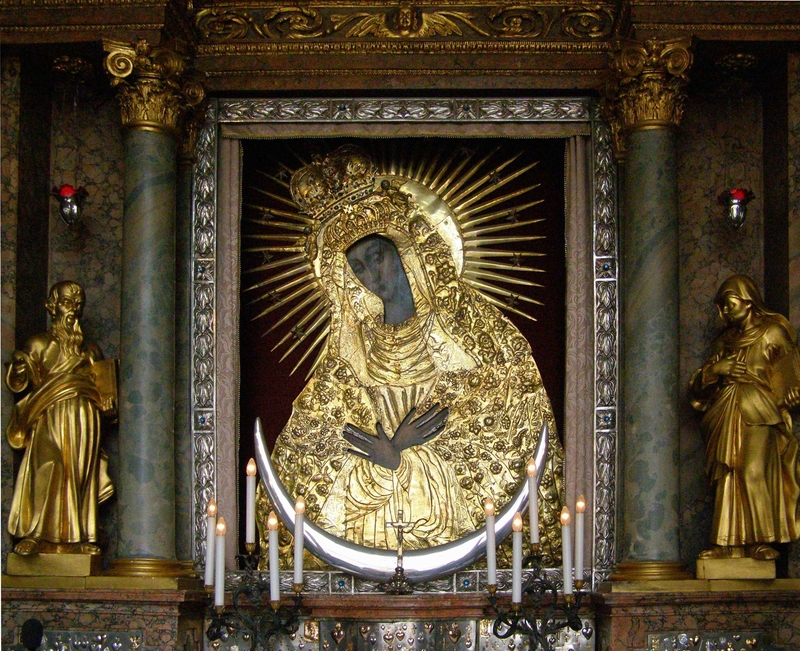 Our Lady of the Gate of Dawn (Lithuanian: Aušros Vartų Dievo Motina, Polish: Matka Boska Ostrobramska, Belarusian: Маці Божая Вастрабрамская) is the prominent painting of the Blessed Virgin Mary venerated by the faithful in the Chapel of the Gate of Dawn in Vilnius, Lithuania. Aušros Vartų (lit.) means The Gates of Dawn. The painting was historically displayed above the Vilnius city gate. The city gates of the time often contained religious artifacts intended to guard the city from attacks and to bless the travelers. November 16 is the feast day of the icon in the Roman Catholic tradition. January 8 is the feast day of the icon in the Eastern Orthodox tradition.